With sunny temperatures and aqua seas….Cornwall could certainly be mistaken for a dreamy, sunny Greek island. 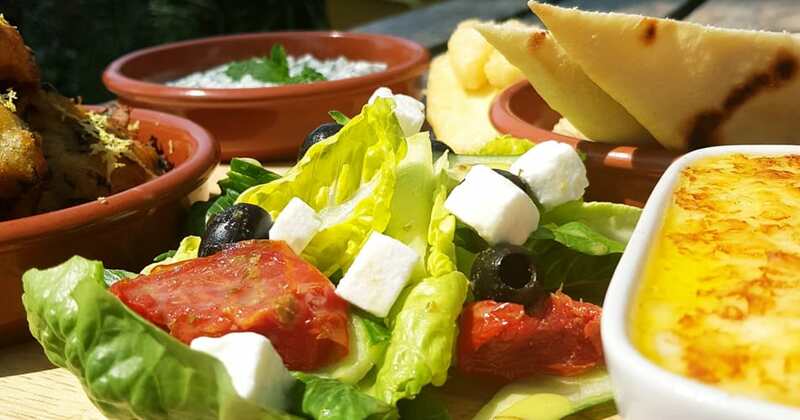 So why not join us on Thursday 26th July for a taste of the Mediterranean and enjoy our Greek Night with a variety of Greek inspired dishes from delicious mouth-watering moussaka, crispy calamari with lemon and basil, a traditional tzatziki and hummus, heavenly fried halloumi, pita breads, courgette fritters and a tasty selection of olives and feta salad. £20 per person and Dessert £5 per person. Make sure you book to avoid disappointment.